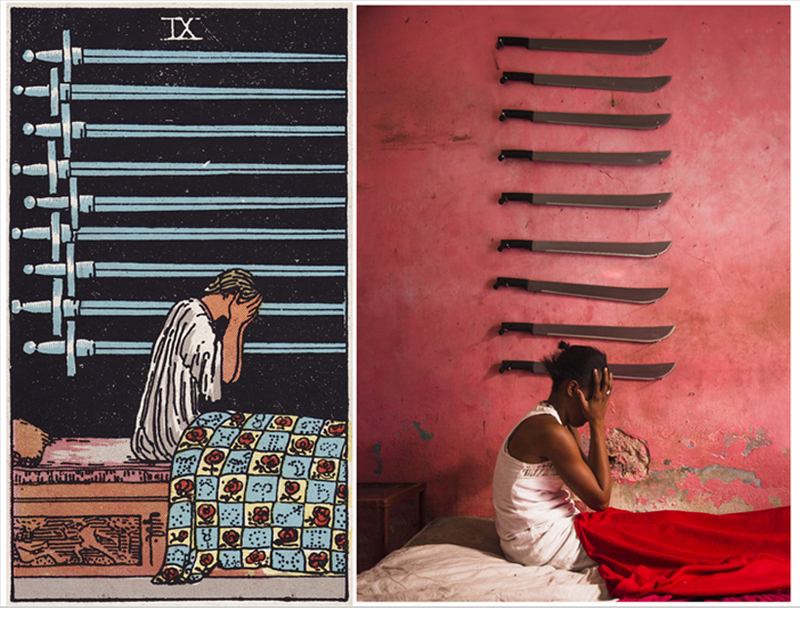 The Ghetto Tarot is a photographic interpretation of the traditional tarot deck. 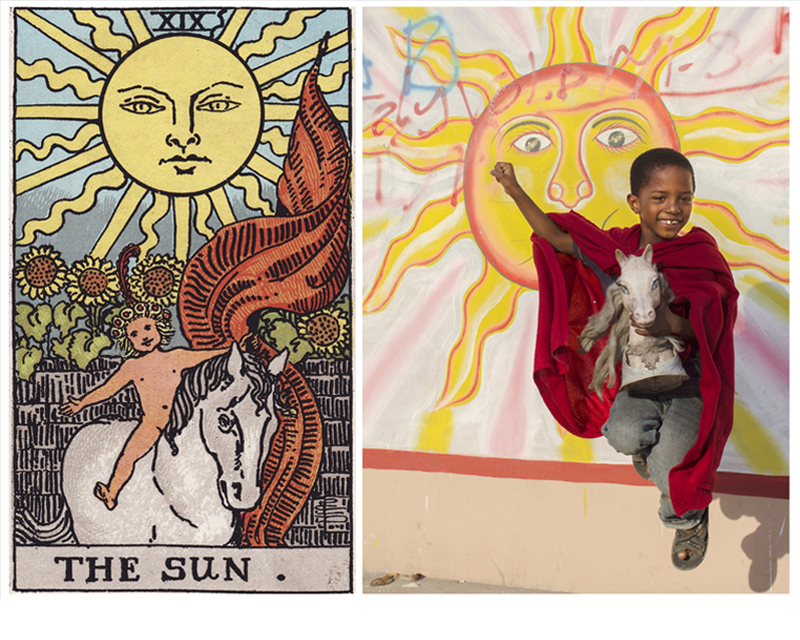 The scenes are inspired by the Rider Waite deck (originally designed in 1909 by artist Pamela Colman Smith) and are replicated together with a group of Haitian artists called Atis Rezistans in the Haitian slums using only materials found or created locally. We want people to question their assumptions about what the ghetto really is and to change the negative connotation that the word implies in our culture into a positive one. The objective is to highlight the creativity and strength of the citizens of the Ghetto. Inside of them lays a treasure of innovative ideas to dissolve the circle of dependence and victimisation, that will break through if the world starts looking at their skills and capacities instead of their deficiencies. 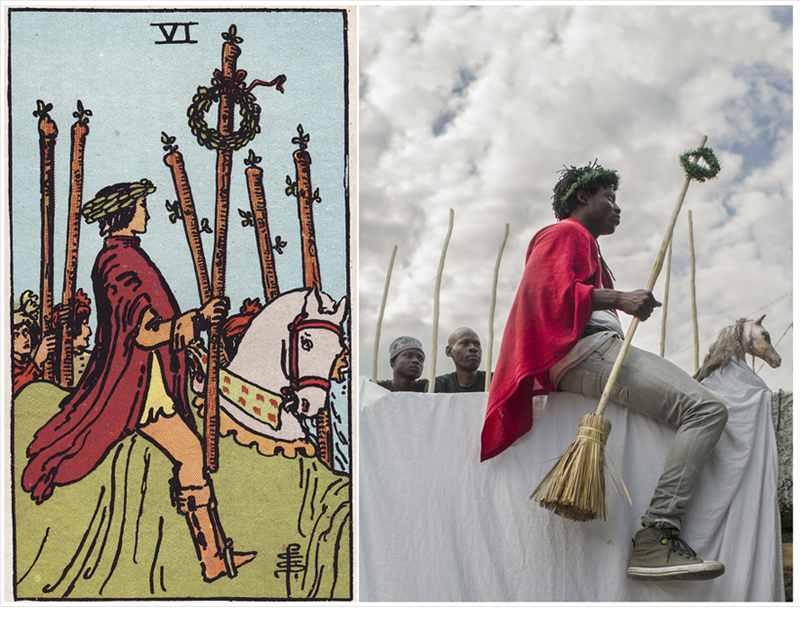 The Ghetto Tarot reaches beyond cultural walls of prejudice to achieve a much needed transformation of the collective conscience perception of the Ghetto. Atis Rezistans are claiming the word “Ghetto” to free themselves of its depreciating undertone and turn it into something beautiful. Their act of appropriating a word loaded with unfavourable sentiments by altering its meaning has inspired me. The Haitian artists made me realise that it lies only within us what judgment we assign towards a tangible or intangible thing, which creates a positive or negative emotion. If we realise that we can choose if we look at destruction and see despair or if we choose to see the start of something new, we can change the meaning of every word, action and emotion and discover the power of our own thoughts. And isn’t the confrontation of our inner feelings and emotions what tarot is all about? Alice Smeets (b. 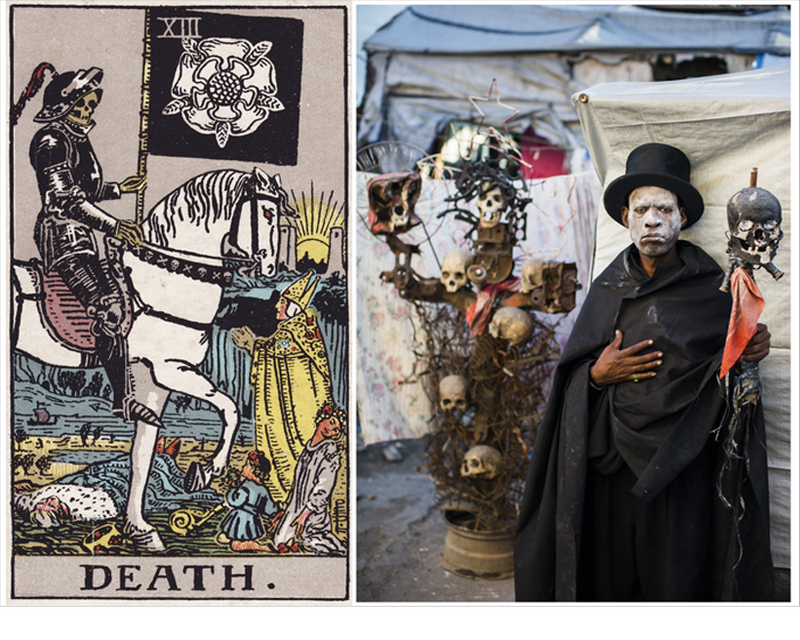 1987, Belgium) is a photographer, artist, tarot reader and healing guide. Smeets started working as a professional photographer in 2007 and was awarded the UNICEF Photo of the Year award in 2008. She practices the art of living by following her bliss and trying out everything that comes along her way. She provides guidance for others to find their purpose in life and heal their wounds from the past.